Camo Dipping, and many more. 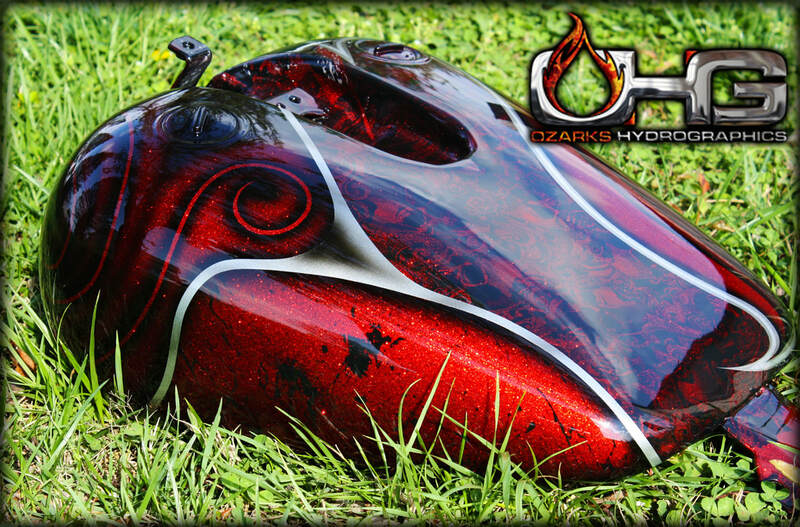 You might ask what can hydrographics be applied too? The answer is nearly any 3D object that is made from plastic, wood, glass, and metal. A general rule of thumb is if it can be painted it can be dipped. Some of the most popular items to dip are guns, bows, Skulls, automotive trim & bezels, wheels, computer cases, ATV's, golf carts, and many more! Items can be shipped to us or dropped off at our Southern Missouri location for dipping! 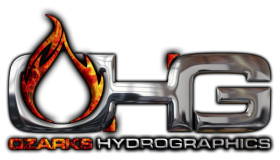 The process to apply hydrographics is pretty straight forward. It starts out with prepping the item, and then applying primer and basecoat. 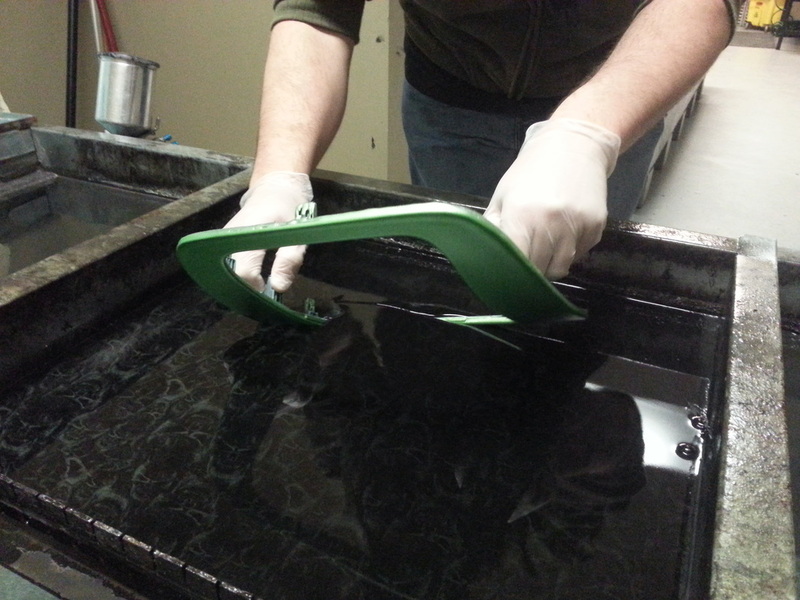 The customer's choice of film is then cut to size and laid on the surface of the water in our water transfer printing tank and an activator is applied to the film. 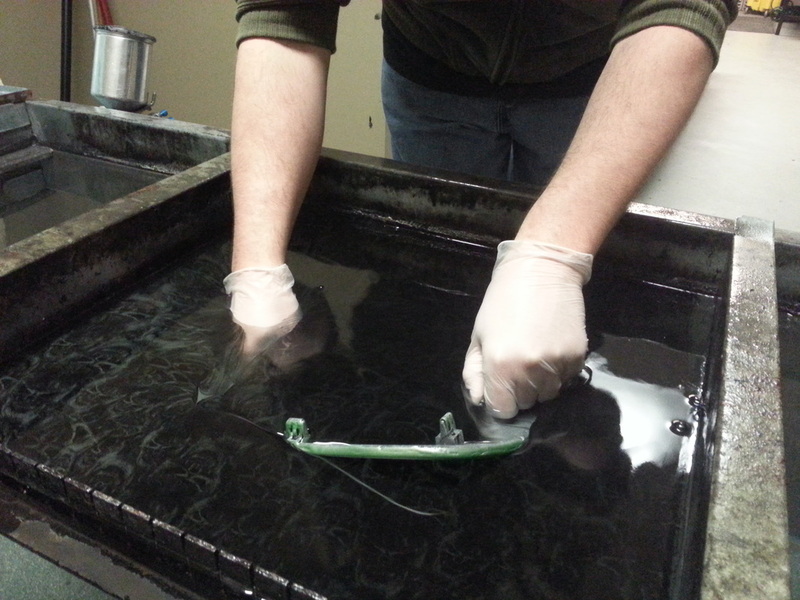 After a few seconds the film turns to liquid ink and floats on the surface of the water and allows us to dip the item slowly into the ink which wraps 360 degrees around an object. 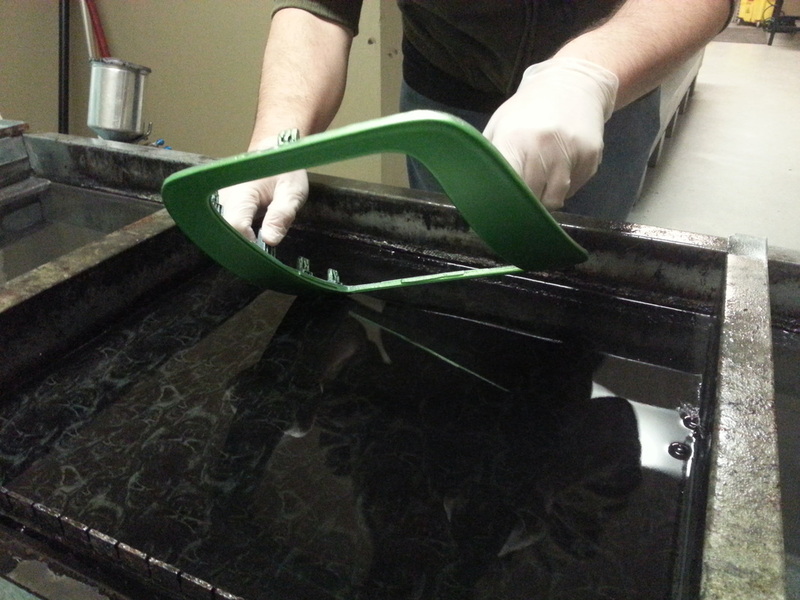 Then the item is dried, and an automotive grade clear-coat will go over the new finish to maximize durability. 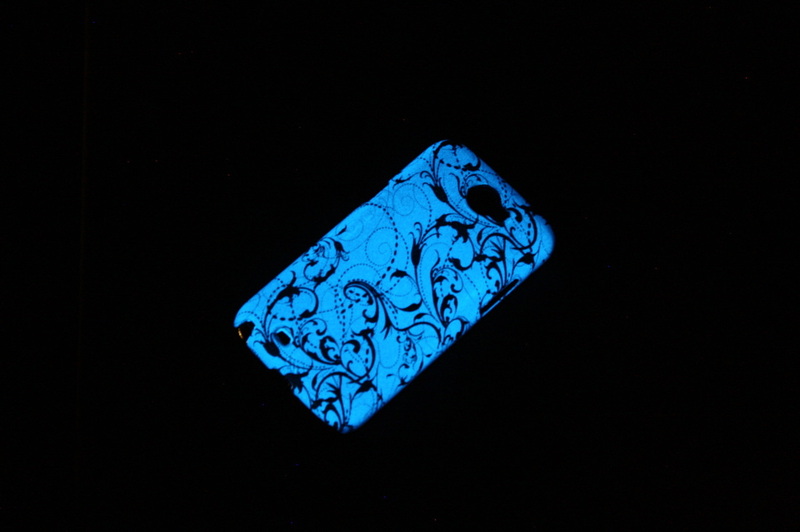 Glow-in-the-Dark Hydrographics Basecoat. Give your customers that one-of-kind look everyone is looking for! 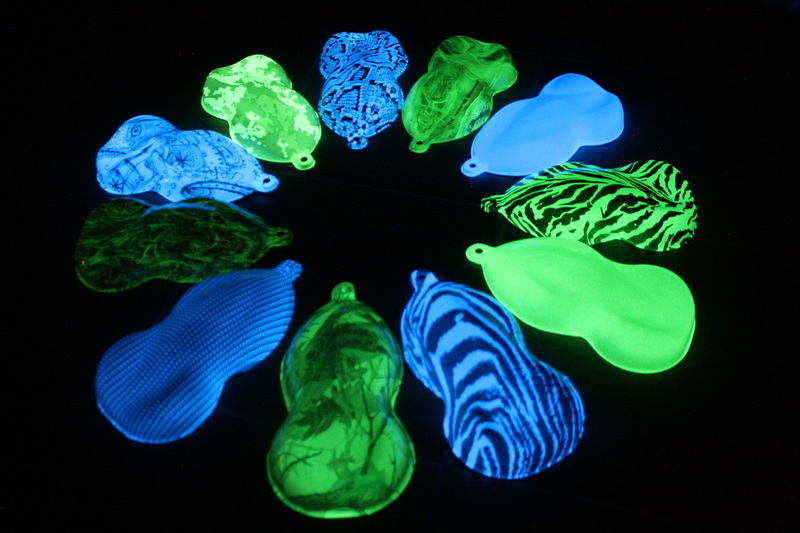 We offer many different glow colors and are always adding more options to the Hydro-GLO™ Basecoat Line. 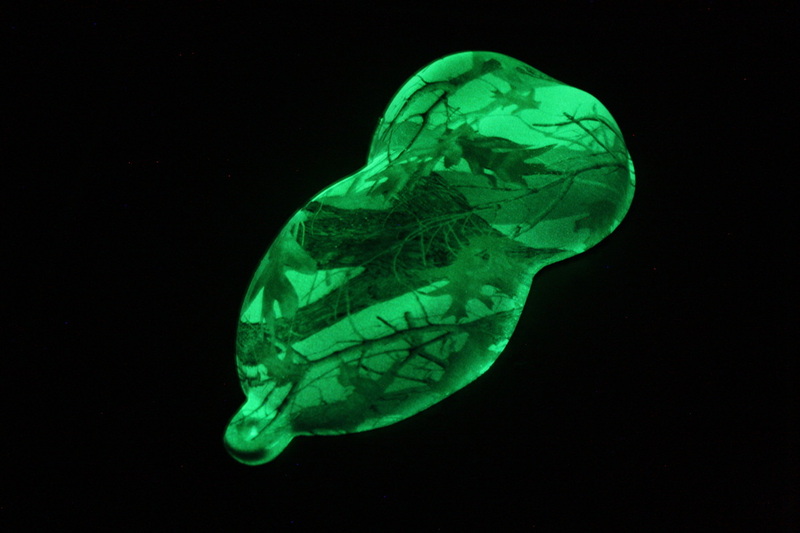 We have done the research needed to find the the longest and brightest glow time on the market! 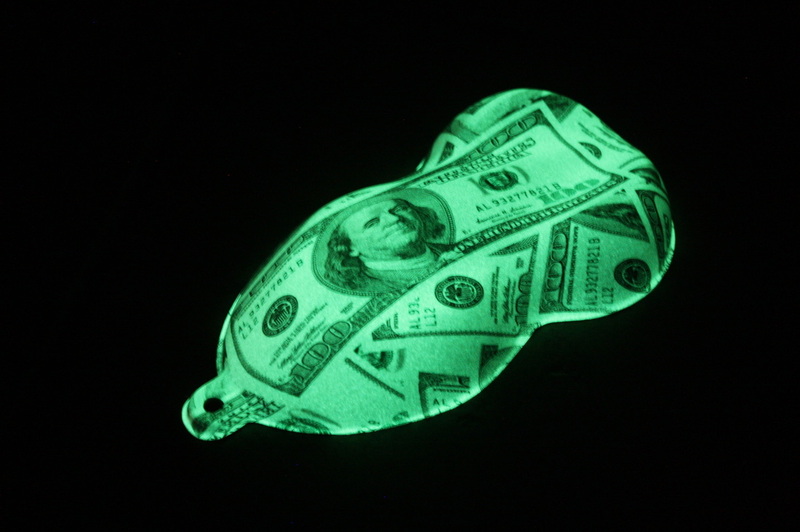 The green glow will last for up to 15 hours with a 15 min charge! 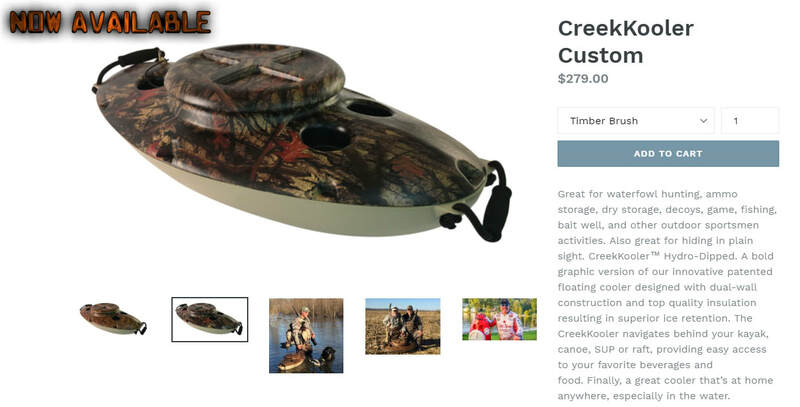 Get your items dipped with this basecoat through Ozarks Hydrographics for that custom touch no one has! Click the picture above to order Live Free today! When Joshua Brack first contacted us about dipping his Dakota parts he was in his final stages of his build. 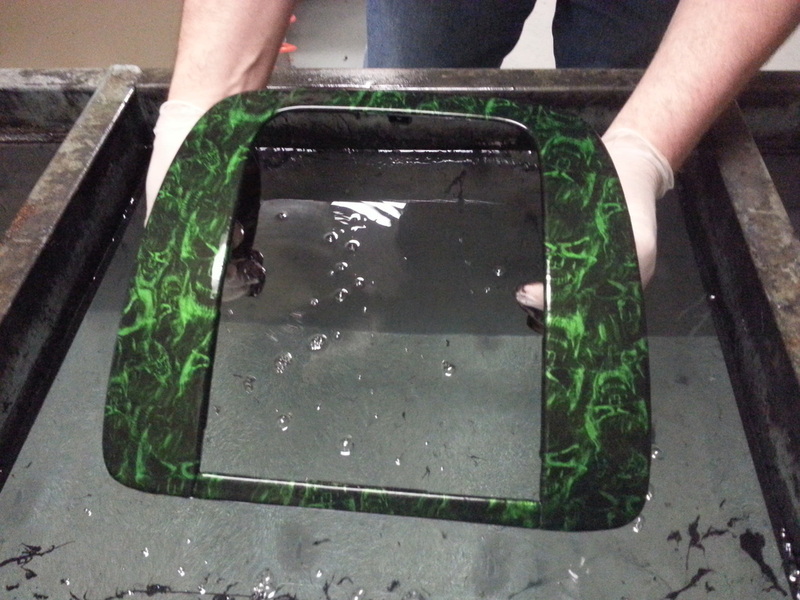 Joshua brought in over 60 parts to Ozarks Hydrographics to give his interior a custom touch. We were able to match his custom exterior paint color to give him a matching carbon fiber interior. We also dipped a few of the parts in the typical black carbon fiber print to give a nice two tone interior. Congratulations Joshua on the SEMA Show, Tuckin Magazine, Truck Trend, and Car audio magazine write up! !